The New Zealand Film Archive, now renamed Ngā Taonga Sound & Vision (The New Zealand Archive of Film, Television & Sound Ngā Taonga Whitiāhua Me Ngā Taonga Kōrero), was honoured to present two of the few surviving New Zealand features from the silent era at WSS VII. Pianist Mauro Colombis masterfully brought both feature screenings to life for a twenty-first century international audience, some of whom were experiencing silent era cinema from Aotearoa New Zealand for the first time. The screening opened with a selection of short films made in the 1920s, originally produced in conjunction with local theatres in Auckland and Hamilton who showed them prior to features. These included footage of two Shingle Bob haircut competitions, and a Bathing Beauty contest. The first feature, Venus of the South Seas (1924) starred Australian-born champion swimmer and diver, Annette Kellerman. Kellerman’s swimming prowess and ability to act while holding her breath made for dramatic underwater scenes. The second film, The Bush Cinderella (1928) was made by pioneering New Zealand filmmaker, Rudall Hayward, and featured a strong female lead played by Dale Austin, winner of the 1927 Miss New Zealand contest. The Bush Cinderella was described by our cataloguers as a “rural melodrama with a dash of high seas adventure and a race up Queen Street, Auckland to the finish.”  It was one of the most successful New Zealand productions of the silent era, due in no small part to the star status of Austin. Hayward, who was not one to let a marketing opportunity go by, made sure he leveraged Austin’s beauty queen reputation and fleeting Hollywood experience – part of her Miss New Zealand prize included a contract as a stock player at MGM. The Sun noted that the film “combines Hollywood experience and technique with a faultless photographic face.”  Tinted scenes made Austin’s photogenic face glow in hues of gold and blue, and at times glimpses of naturalism shone through the slapstick and melodrama. Another distinct, but unheralded, female influence that shaped the film was Hayward’s wife and partner in filmmaking, Hilda, the subject of the profile below. Recent film history has made determined efforts to remember and duly recognise the role of women in early filmmaking. In Aotearoa New Zealand it is not so much a case of repositioning women, as it is one of discovery. A case in point is Hilda Maud Hayward (née Moren) (figure 1), who between 1925 and 1940 assisted her husband Rudall Hayward on the production of some twenty-eight films; however, she received screen credits for none of them, and is largely absent from New Zealand film history. Figure 1 - Hilda Hayward. Stills Collection, Ngā Taonga Sound & Vision. Courtesy of Hayward-Boak Collection. Until the 1970s, independent filmmaking in Aotearoa was a patchy and local affair. This did not change until the establishment of the New Zealand Film Commission in 1977. Prior to this New Zealand lacked an organised film industry, or an infrastructure of any kind, and only a handful of people managed to make full-time careers as independent filmmakers. All of those who have achieved any level of recognition in the public consciousness for having done so were male – although Deborah Shepard’s insightful research presented in Reframing Women reveals that women did work unrecognised alongside these celebrated male auteurs. Among the nation’s filmmakers of the silent era is pioneer Rudall Hayward, an acclaimed innovator who is considered to be the Grandfather of New Zealand film. Rudall Charles Victor Hayward (1900-1974) was born into a theatrical family who emigrated from England to New Zealand in 1908, and for many years owned the Fuller Hayward Empire – which at its peak controlled sixty-three picture theatres around the country. Hayward is praised in New Zealand film histories as having “a life in film”: at the age of nine he secured work winding the take-up spool at a theatre in Waihi, by eighteen he had left school and was a full-time projectionist, in 1921 he made his first film, The Bloke from Freeman’s Bay, and he died on the road in 1974, while promoting his last film, To Love A Maori (1972). Heavily influenced by the historian James Cowan, Hayward believed that tales of the New Zealand frontier were equal to any from the American West in interest, and his ambition was to put New Zealand’s history on screen. When he met his future wife, Hilda, he had already produced his first feature film, My Lady of the Cave (1922). Between 1925 and 1940, the couple made twenty-eight films. This includes five feature films, and a number of community comedies, newsreels and short documentaries. In the context of independent New Zealand filmmaking at the time, there is nothing to equal this output. The fact that Hayward produced four silent feature films during the 1920s – My Lady of the Cave (1922), Rewi’s Last Stand (1925), The Te Kooti Trail (1927) and The Bush Cinderella (1928) – is an extraordinary output in New Zealand, even by today’s standards. It is impossible to know, now, exactly the extent of Hilda’s role in the Hayward’s filmmaking partnership. The Hayward-Boak collection of letters and diaries held at Ngā Taonga Sound & Vision are scattered with references to her input, and enticing entries by Hilda such as “Discussing plans for a darkroom. Went to town – Rue found title for Prince Edward. Am starting to re-edit Te Kooti’s Trail. Altered Rue’s suit”  give us a glimpse of Hilda’s life, the film career squeezed in around the domestic. This casual interspersal of commonplace domestic duties with domestic labour of a more intellectual kind was not unusual for the 1920s. At this time, sharing in a husband’s job was often the only way a woman could have a career. If women worked at all, their employment was generally seen as a temporary interlude and they were expected to give up their jobs once married. In Depression-era America, women – and especially married women – were ideologically and systemically pressured not to work in order to save much-needed jobs for men; instead the “professionalized homemaker” type was idealised as the model female role. It seems women were faced with similar pressures in Depression-era New Zealand. These pressures were reinforced by popular culture. Although they did not participate in paid work, women were expected to carry out unwaged labour for husband and family as part of their marital duties. While this discourse was typically applied to housekeeping and childrearing, in the cases of creative couples it was not uncommon for the wife’s domestic labour to extend to supporting the husband in his work. Two other notable examples of the era are Zelda Fitzgerald and Alma Hitchcock, whose wifely duties, like Hilda’s, included intensive creative input. Zelda’s work was acknowledged at least by a level of celebrity and notoriety, and Alma received screen credits (albeit in much smaller print and many lines beneath her husband’s), whereas Hilda’s role as a creative wife was a much less public one. 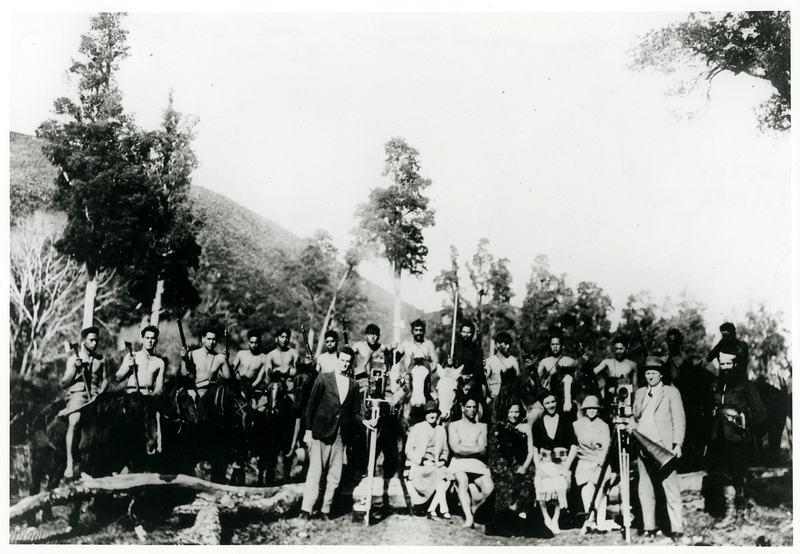 Figure 2 - The Te Kooti Trail (1927). Cast and crew members on location. Stills Collection, Ngā Taonga Sound & Vision. Courtesy of Ramai Hayward. 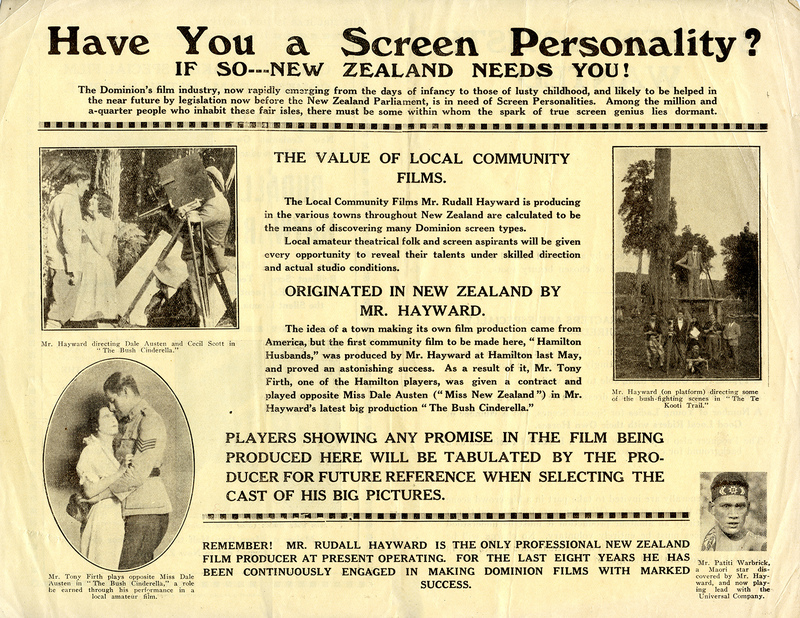 Figure 3 - Advertising circular for acting applicants to appear in Rudall Hayward’s community comedies, titled “Have You a Screen Personality?” Stills Collection, Ngā Taonga Sound & Vision. Courtesy of Hayward Collection. The films were shot and edited quickly, then returned to the local picture theatre for a “world premiere” while interest and excitement was still hot. This enabled the Haywards to earn enough to buy more film stock and carry on to the next town, but they did not return a profit, and ultimately the project was unsustainable. The filmmaking partnership between Rudall and Ramai (herself a pioneer Māori filmmaker) continued until his death in 1974. Ramai’s story is relatively well-known: she is credited on the films the couple made together, and, being a celebrity figure, she has been the subject of several television documentaries and interviews. Sadly, however, the scandal of the Rudall-Ramai affair and marriage, as well as Hilda’s less public identity, contributed to the disappearance of her contribution to New Zealand film history. It is not known whether it was because Hayward was embarrassed, or because he felt terrible guilt, but he never referred to his first wife in any interviews or accounts of his career. The lack of any credit for Hilda on the films themselves and the very scant primary source material has meant that only by the very determined efforts of historians such as Deborah Shepard has Hilda been put back into the frame of New Zealand’s film history. It is recognition that this creative and multi-talented woman most definitely deserves. Hilda’s story invites us to ponder how many other women contributed to the first decades of film production in New Zealand without receiving credit for their input. It is known, for example, that Hilda Inkster, wife of Lawrie Inkster, a Greymouth maker of newsreels and a contemporary of Hayward’s, helped with the processing and intertitling of Inkster’s films. It is hoped that these untold stories will be brought to light in future film scholarship. Roger Horrocks, “Introduction,” New Zealand Film: An Illustrated History, ed. Diane Pivac, Lawrence McDonald and Frank Stark (Wellington: Te Papa Press), 5. Deborah Shepard, Reframing Women: A History of New Zealand Film (Auckland: HarperCollins New Zealand, 2000). Diane Pivac, New Zealand Film, 57. Ray L. Hayes, interview with Rudall Hayward, 1961. Ref. A1003, Ngā Taonga Sound & Vision. Neil Boak, interview with Deborah Shepard, 1996. Ref. AUD.0936, Ngā Taonga Sound & Vision. Helen Morse, interview with Hilda Hayward, Good Morning, c. 1935. Quoted in Deborah Shepard, Reframing Women, 20. Neil Boak, quoted in Deborah Shepard, Reframing Women, 21. Hilda Hayward, diary, Hayward – Boak Collection, Ngā Taonga Sound & Vision. Ellen Wiley Todd, The “New Woman” Revised: Painting and Gender Politics on Fourteenth Street (Berkeley: University of California Press, 1993), 179-224. The trope of the working class girl “rescued” from her working life by marriage to a wealthy man is a insistently reoccurring trope of Hollywood films of the era: Ella Cinders (1926), It (1927), Red Hair (1928), Gentlemen Prefer Blondes (1928), Why Be Good? (1929), Three Wise Girls (1932), and Red-Headed Woman (1932), among others. 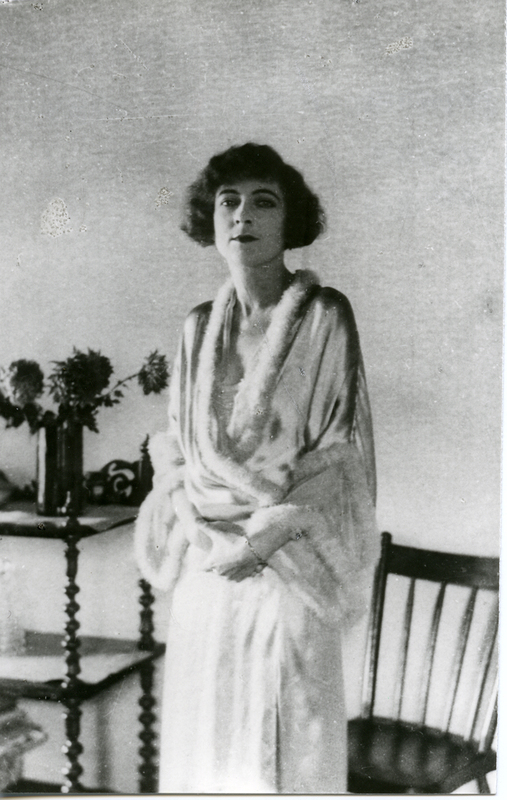 Zelda provided editorial advice, and gave freely of her opinions and even her diaries for use in her husband’s novels. Alma carried out screenwriting, advising, and editing duties on her husband’s films. For more on Zelda Fitzgerald, see Nancy Milford’s Zelda: A Biography (New York: Harper & Row, 1970). For more on Alma Hitchcock, see Pat Hitchcock O’Connell and Laurent Bouzereau’s Alma Hitchcock: The Woman Behind The Man (Berkeley: Berkeley Hardcover, 2003). Community comedy advertising. Community Comedy (1) and (2), Stills Collection, Ngā Taonga Sound & Vision. Diane Pivac is Head of Audience at the newly named Ngā Taonga Sound & Vision, the recent amalgamation of the New Zealand Film Archive (NZFA), Sound Archives Ngā Taongo Kōrero and the Television New Zealand Archive. She is co-editor of New Zealand Film: An Illustrated History published by Te Papa Press in 2011.